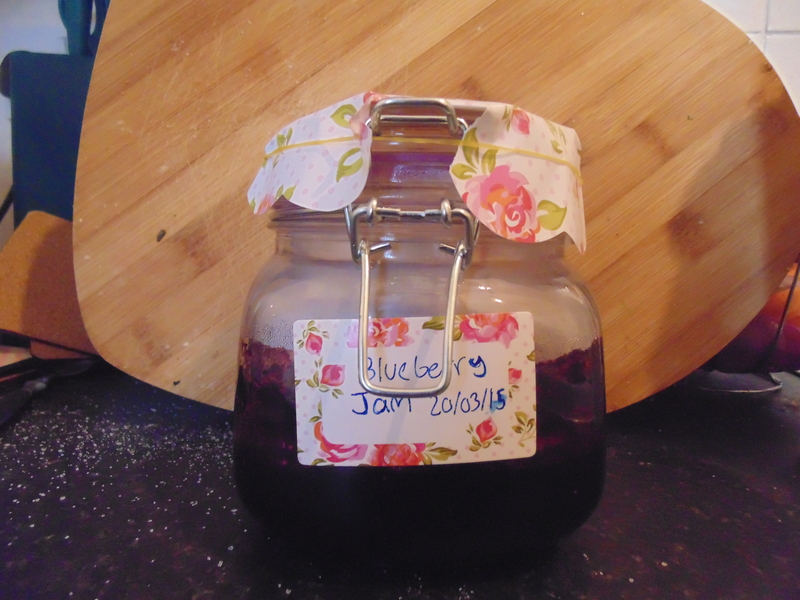 Home Made Blueberry Jam! – Carry on Beautiful! I recently made jam for the very first time! I always thought it was hard to make but after scrolling through pinterest and numerous blogs i found out its actually pretty easy, so i thought i’d tell you how to make it too!! I looked at lots of different recipes for this and then just made my own. It should last around 1 month refrigerated or 1 year frozen. You should of course make sure your jar is sanitised before you pour it in, a quick google search will let you know how to do this if you don’t know already, thats what i did. Ingredients- 4 cups blueberries. 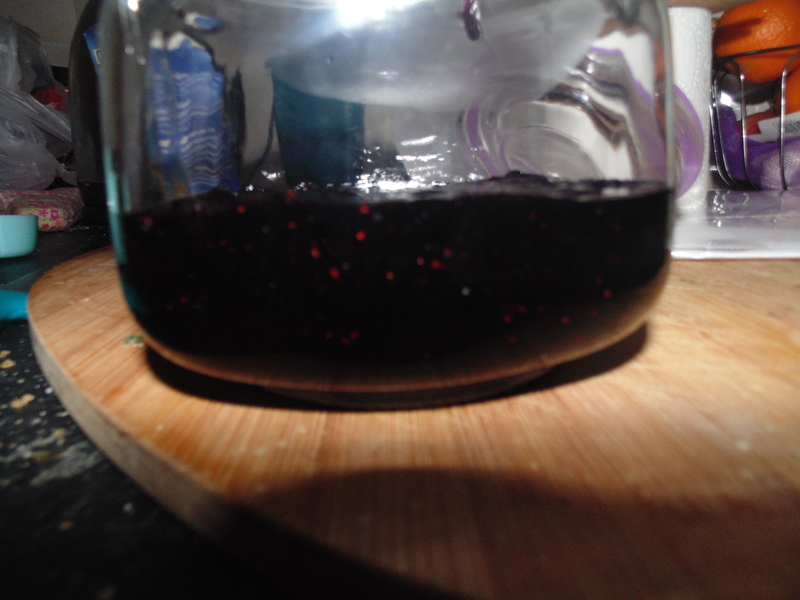 Mine were right about to go a little off but you can’t taste it in the jam and its a great way to use those berries you don’t want to eat on their own because of those dodgy bits. 1 cup white granulated sugar. I’d love to see how it turns out using brown sugar though so i think i’ll try that next time. 1 1/2 teaspoon of fresh lemon juice. You could of course use bottled lemon juice but i had a lemon left over from a different recipe so i just threw that it. I might use 2 teaspoons next time though to give it a little more sourness. 1 teaspoon honey. It just adds that slightly summery hint i think. It’s still cold and rainy here but spring is just around the corner! This is one of the easiest things ever but it does tire out your arm!! All you have to do is throw it all into a medium saucepan and stir it for 20-30 minutes. You’ll know its done when its quite thick and gloopy. 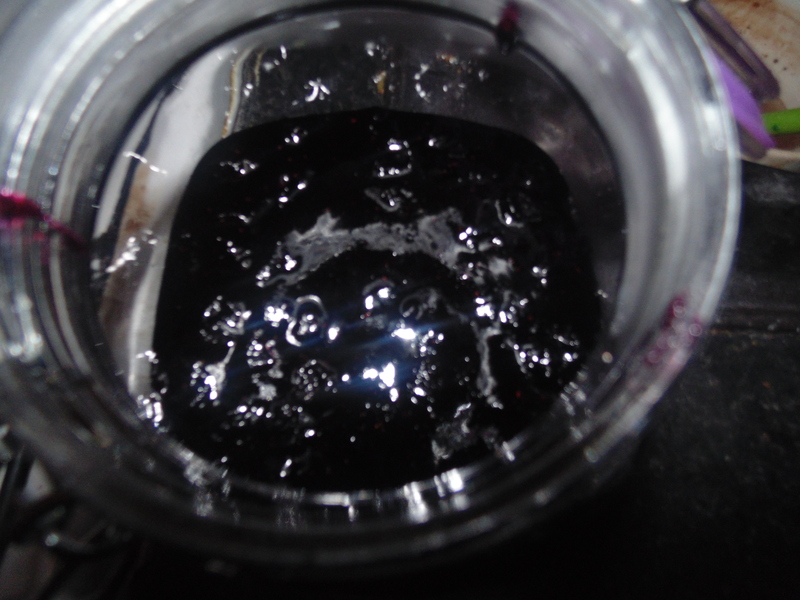 At first it seems like the blueberries will never mush up into jam but they soon do and you are left with beautiful dark purple jam. 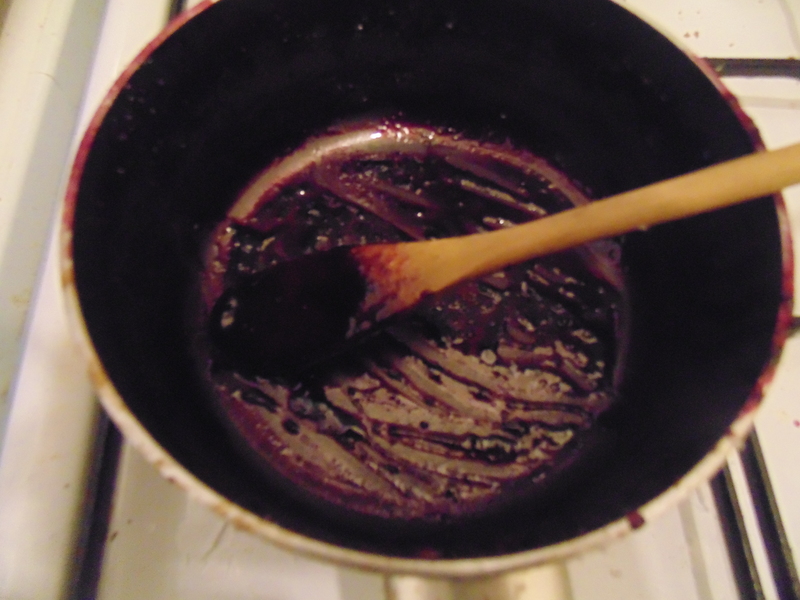 Once it has thickened, pour it into your sanitised jar and put the jar, with the lid closed, into a bowl of cold water. I took the opportunity to clean the pan that i had used, throw some cold water in, and then leave it in there. 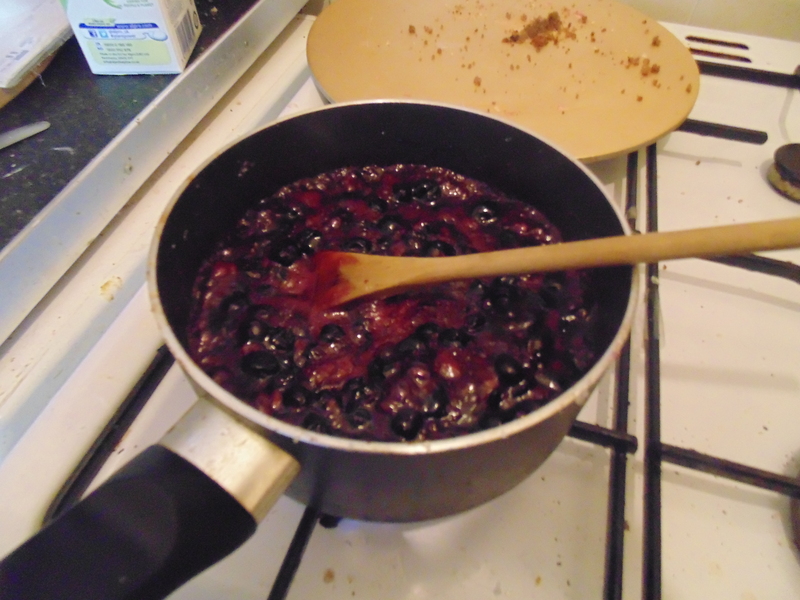 This helps it to set into a really nice, thick jam perfect for toast, sandwiches etc. I think it’d be lovely between the two layers of a Victoria sponge. Once its cool, label your jar. Its really important to write what it is and the date it was made so that you don’t accidentally eat off jam. It also means that if you make a few jars over the course of a few weeks you know which jar to dig into first! Here was how mine looked once i had labeled and put a little paper hat thing on it. I feel like thats exactly how a pot of homemade jam should look and I’m really happy with it. Unfortunately i don’t get to dig into it until Wednesday because its mostly for my nan, but my mouth is watering just thinking of how amazing it’ll be on some white bread. I might even bake some bread to go with it! If you try this recipe out don’t forget to show me on Instagram or Twitter!